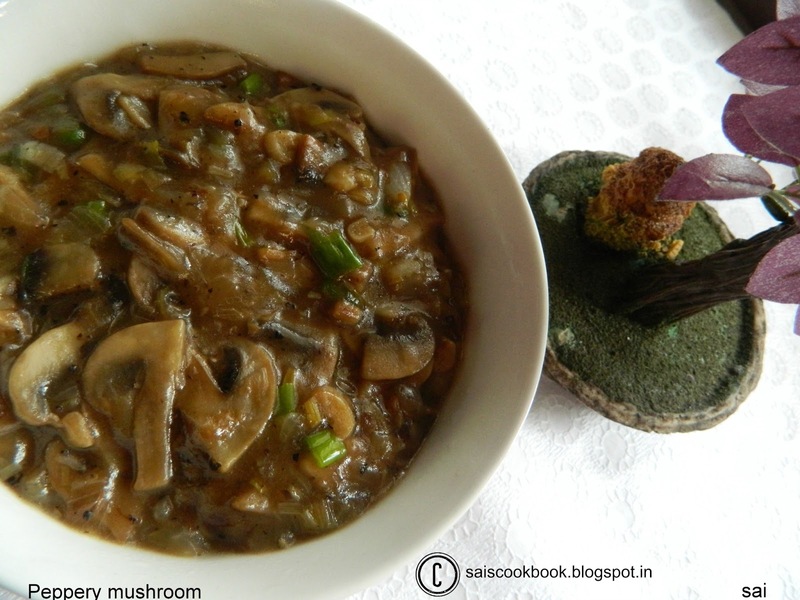 Sometimes I really wonder why Santoshi didn’t open her own blog since she cooks so well.Of course I’m here to share her wonderful recipes and today again this peppery mushroom is her recipe.This is a wet recipe that is with gravy which can be accompanied with fried rice or noodles.This is again an easy peasy recipe and of course a wow dish.Mushroom lover will surely love this dish.You may prepare this dish with babycorn,paneer or even with mixed veggies like broccoli etc. 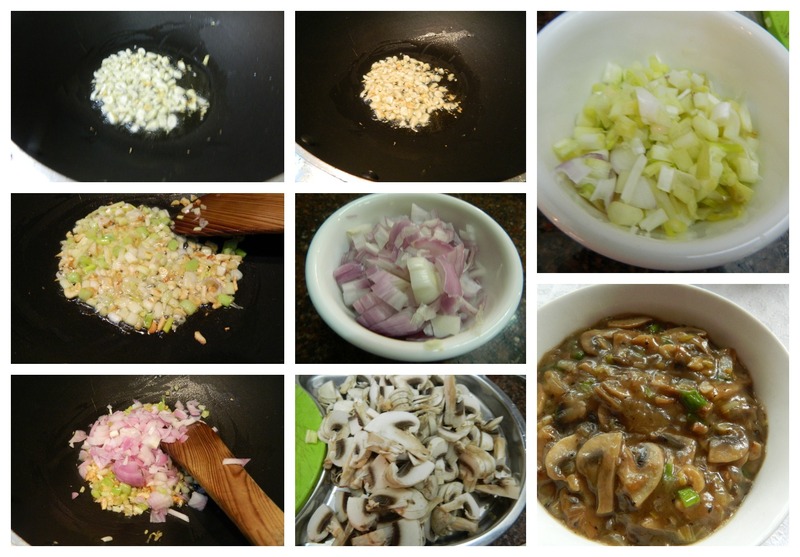 Heat oil in a pan and fry onion,garlic for a minute or two,add white onions and fry for two more minutes. 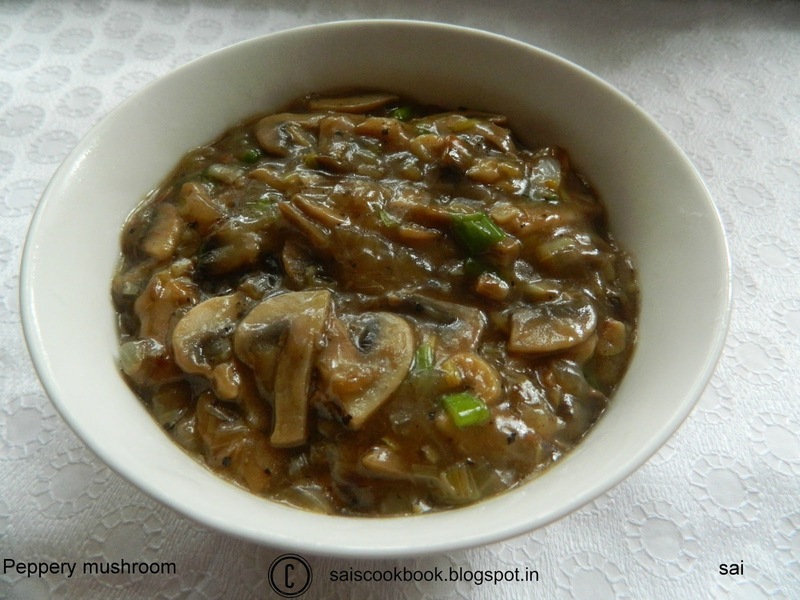 Add onions and fry further,add sliced mushrooms,close the lid,lower flame and cook until it gets cooked. Add salt to taste,sugar,pepper powder and cornflour mixture and take a boil. Previous: How to proof yeast?